If not coffee, I often battle my dizziness with sweets. Working on a night/graveyard shift is very challenging because you need to stay awake when you were supposed to be asleep. During my free time, or if I feel like my eyes are getting heavy, I make coffee, or I buy something sweet. I really love sweets. Main reason why, I guess, I easily gain weight. Haha. But anyway, I love having sugar rush, when it's all about cupcakes and chocolates. 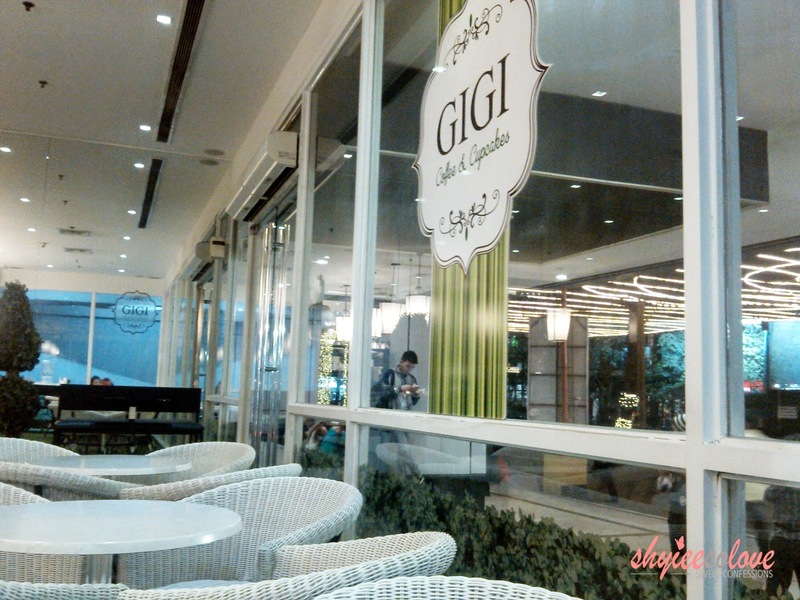 One of my favorite places in Eastwood is Gigi Coffee and Cupcakes. You can easily see their store when you enter Eastwood City. It is a very catchy store. Well I guess all cupcake stores are creative in their own ways. 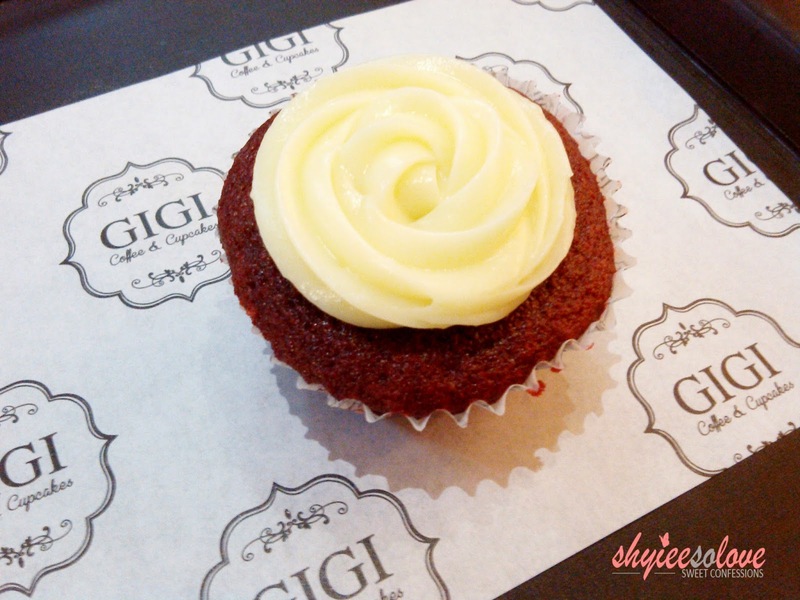 I think, of the three cupcake stores in Eastwood (J Cuppacakes, Gigi, and Vanilla), Gigi has the most affordable cupcakes. My favorite? Red Velvet. There are also different cupcake variants you can choose from. I love their cupcakes because it's not too sweet, that your teeth will ache. 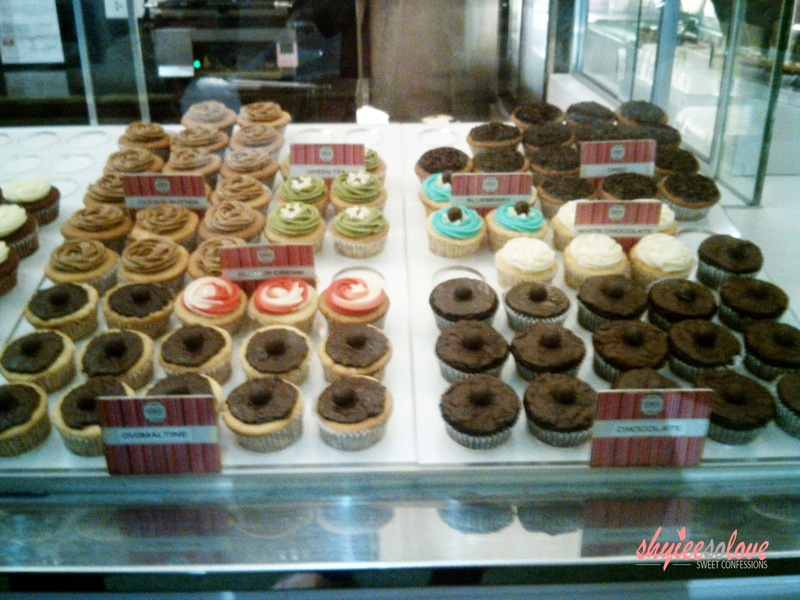 The sweetness of Gigi's cupcakes is too delicate that you would want another piece. 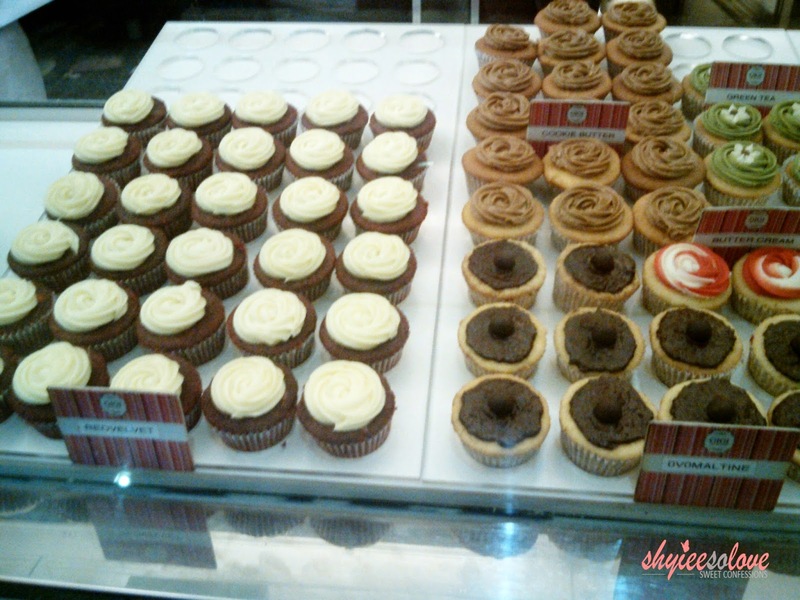 Each cupcake costs Php50 and if you want to send it as a gift, you can add Php25 for a giftable box. You can also buy by 6 (Php285) or by 12 (Php550), if you want to share it with your friends and family. 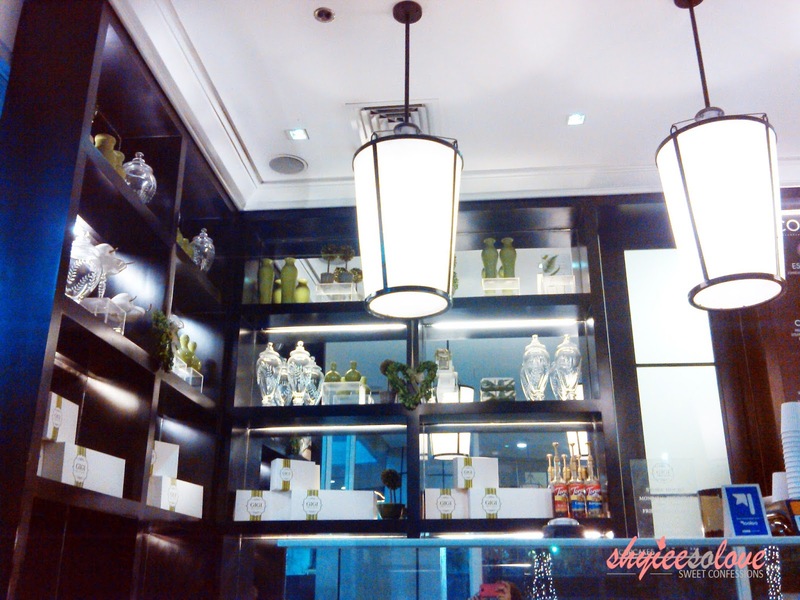 Aside from the cupcakes, I also love the ambiance of the place. It has a garden theme. 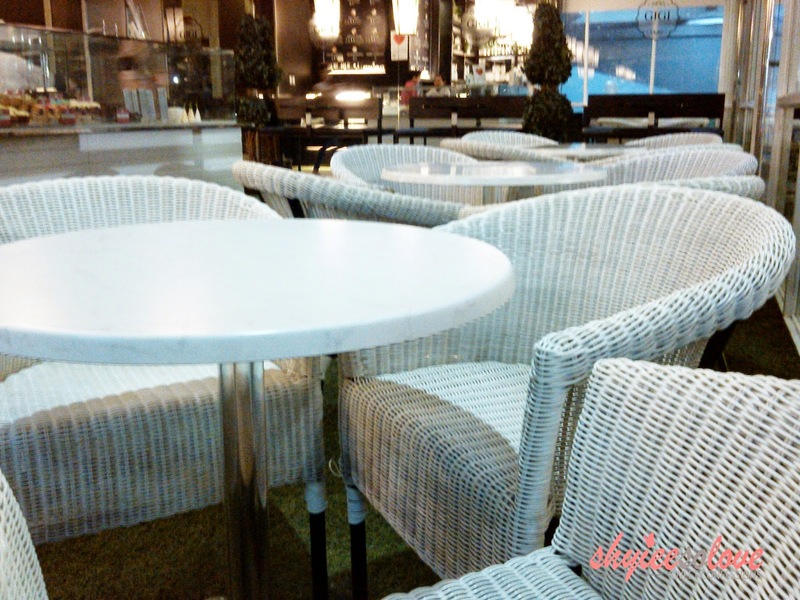 The place is just too serene, and it's perfect if you want to chill and relax from a tiring work. 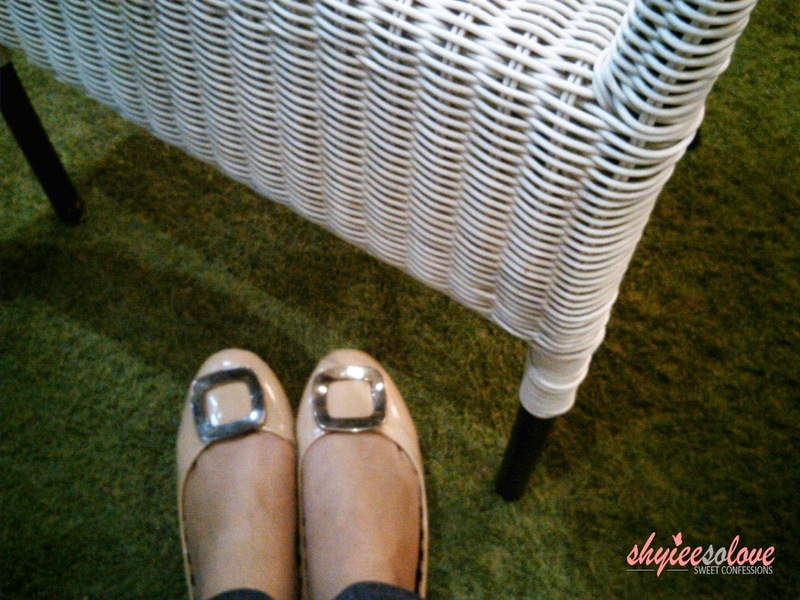 I was also amazed that they have a fake grass-like carpet where you can actually feel you're in a picnic. It's quiet here, and it's not very busy like the fast food chains. Plus, they have a very fast wifi, that you'll love to stay a little longer. 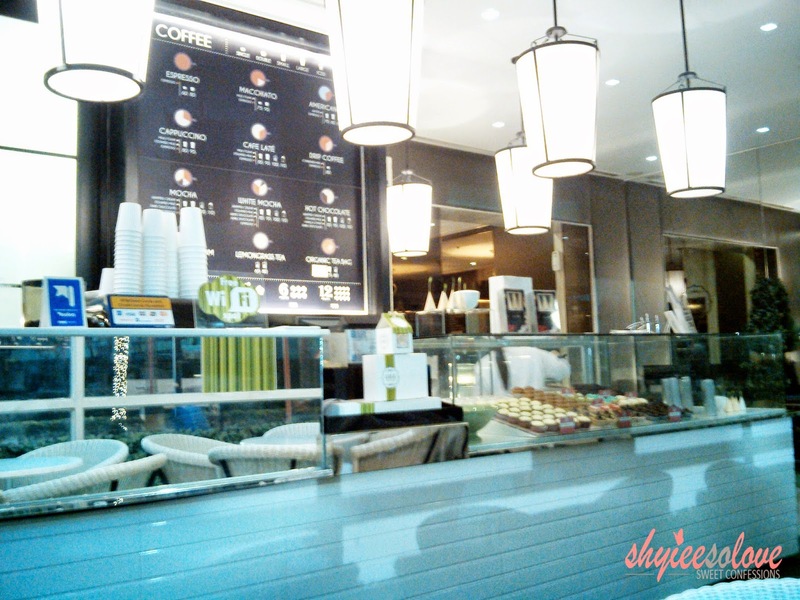 I haven't tried their coffees yet, but maybe next time when I felt like I need a sugar rush.